You want a lawyer who has extensive experience handling criminal cases. Many lawyers handle a variety of types of cases. If you needed a heart procedure you would not go to a general practice lawyer…you would seek out the best heart specialist you can find. Attorneys are the same way. If an attorney is going to be the best in his or her field, he has to specialize in only one area of the law and be the best possible lawyer he can be in that field. The Southfield District Court is much more complex than most courts. While the criminal lawyers with LEWIS & DICKSTEIN, P.L.L.C. successfully practice in courts throughout Michigan for example, their office is located across the street from the Southfield court and they are extraordinarily familiar with the Southfield judges, their staff and the best way to handle cases in that court. For some cases it may seem like you want a lawyer who is a pit bull or a fire-breathing dragon. In other cases you may desire a lawyer who is a silver-tongued devil. The truth is the top criminal attorney is one who is great at playing both roles. Never hire a lawyer before you check out their reputation by doing a Google search on him or her. 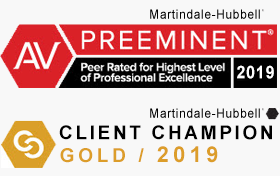 Websites like www.avvo.com (highest rating is 10.0 superb) and www.martindale.com (highest rating is AV preeminent) are excellent resources to see how his peers and prior clients rank a lawyer. The only way to know whether a lawyer is really the right person for you is to meet with him or her personally and look into that person’s eyes. A lawyer is by definition an expert talker. The eyes don’t lie and when you meet a lawyer in person you will be in the best position to judge whether that person is the best Southfield District Court lawyer for you. 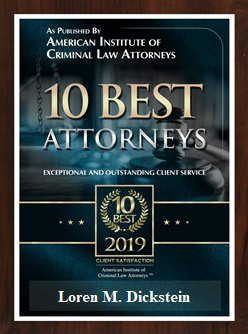 If you would like a free consultation with a highly experienced Southfield criminal lawyer who has a track record of success, please call LEWIS & DICKSTEIN, P.L.L.C. at (248) 263-6800 or fill out a Request for Assistance Form and we will promptly contact you. Loren M. Dickstein and Randy M. Lewis, the senior partners and Southfield Defense Attorneys with LEWIS & DICKSTEIN, P.L.L.C., have been practicing in the Southfield for decades. They have the ability to be voraciously aggressive when appropriate and, when needed, eloquent, persuasive negotiators. Whether the client is best served by a jury trial or a plea bargain, Loren and Randy have the ability and aptitude to take a case in whatever direction will achieve the best possible results for the client. Most importantly…they are not afraid to win! The 46th District Court in Southfield is one of the busiest district courts in Michigan. There is a wide variety of criminal cases that are charged in that court and they are prosecuted by the Oakland County Prosecutor and the Southfield City Attorney’s office. Both felony and misdemeanor cases are handled by the Southfield District Court. Arraignment on warrants, pre-examination conferences and preliminary examinations are handled on felony cases in district court. All misdemeanor cases are handled in the Southfield District Court including domestic violence, OWI-DUI, drunk driving, assault and battery, aggravated assault, retail fraud, resisting the police (AKA obstruction of the police), larceny, stalking, violation of probation (probation violation or VOP), and more. The Court is located at: 46th District Court, 26000 Evergreen Rd., Southfield, MI 48076, (248) 796-5800. The Court is open Monday through Friday from 8 a.m. to 5 p.m except for holidays. The Clerk Counter and Cashier are open Monday through Friday from 8 a.m. to 4:30 p.m. except for holidays. The 46th District Court encompasses Southfield, Lathrup Village, Beverly Hills, Franklin Village, Bingham Farms, and Southfield Township.